Ideally shaped for narrow gardens. If your kids require a trampoline enclosure to practice their gymnastics on, this 8ft x 12ft rectangular model is perfect. It has the advantage of 3 different “jumping zones”. 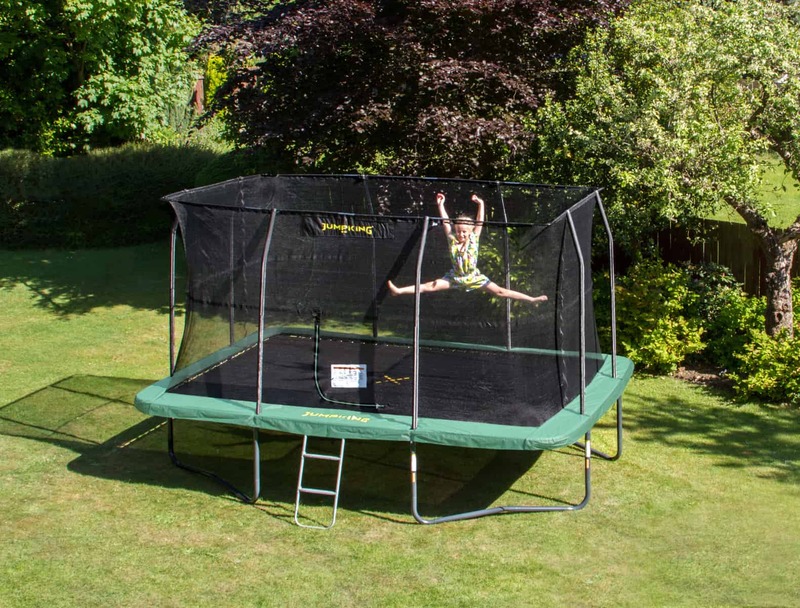 The rectangular trampoline with enclosure shape gives the trampolines a professional feel, as the bouncer is not drawn into the centre of the trampoline while bouncing and is ideally shaped for narrow gardens. From a safety perspective this model has a sturdy frame which has the largest top rails of the Jumpking trampoline range, at 57mm in diameter, making it a very robust design. It benefits from the tri­layer sockets (the T connector holding the top rails and legs together). 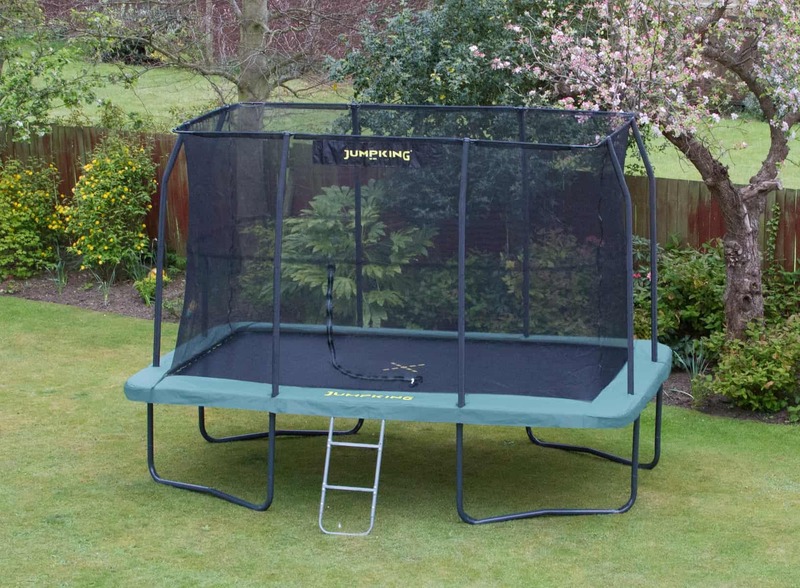 The net is sewn onto the bed of the trampoline ensuring the jumper cannot touch the springs while bouncing on the trampoline, to ensure no fingers or toes can get trapped. This model features the new durable XPE foams and JumpKing Branding on the netting. The trampoline legs and ladder are now dark grey powder coated to create a sleek finish. With excellent build quality, the manufacturer guarantees the fully galvanised steel frame for 10 years, the bed & springs for 5 years, and then net & pad for 2 years.